Development Dialogue is a vibrant gathering of India’s heroes in the development sector. 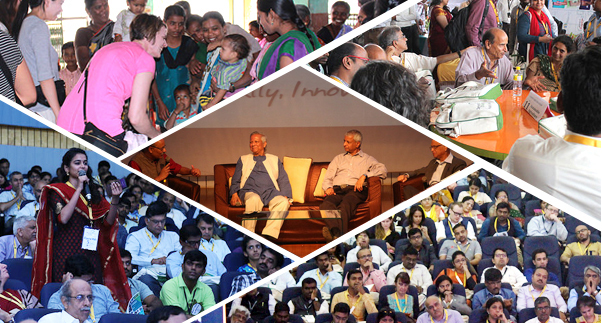 Hosted by the Deshpande Foundation, this annual conference brings together over 500 delegates and 200 organizations to connect and collaborate to create greater socio-economic impact. 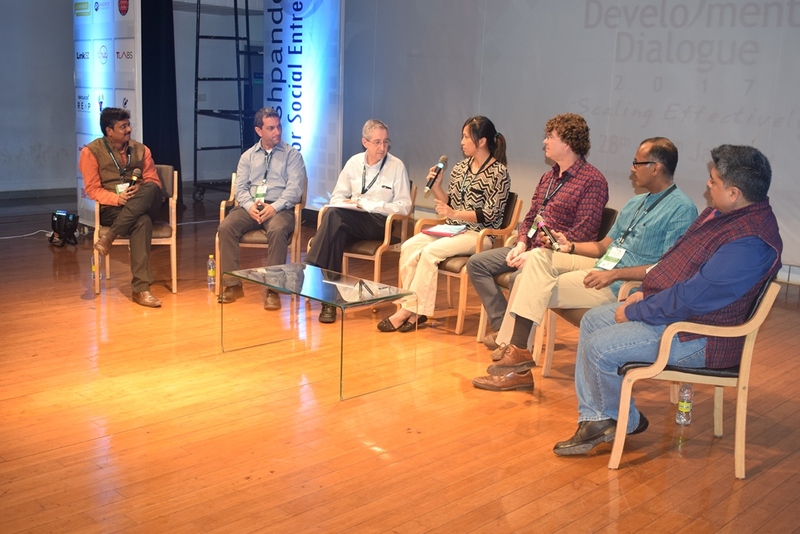 In its 11th year, Development Dialogue continues to offer a unique platform to changemakers from across the world to share latest insights, get inspired and shape the social innovation landscape. The conference features best social innovations, successful business models, and impactful solutions and provides unmatched opportunities to learn from practitioners. Delegates converge in Hubballi every year, from diverse geographies across continents to share proven models, innovations and transforming perspectives about improving our social conditions. The Dialogue has in the past hosted many of this century’s legends like former President Dr. Abdul Kalam, Nobel Laureates- Kailash Satyarthi and Prof. Muhammad Yunus, Magsaysay awardees -Deep Joshi, Harish Hande and Anshu Gupta; global business leaders and philanthropists like Ratan Tata, Narayana Murthy, Sudha Murty and Ronnie Screwvala; and highly ranked Government officials like the Chief Secretaries and Department Secretaries among others. Here is a link of a short clip of how Ratan Tata felt about his experience at the Development Dialogue.and other exemplary globally renowned personalities. Every year, the Dialogue delves into a theme of current interest, and in many ways reflects the evolution of the Sandbox through the years. This year’s theme is “Collaborating for Big Bets”. Humanity is faced with complex issues today. Resources are limited, the sense of urgency is real and sociopolitical landscapes are shifting creating infinite and sometimes irreversible global impact. To address these issues it is essential to leverage mutual strengths; build coalitions across sectors and collaborate to deliver on bold solutions with sharper focus and ever more rigorous efforts. This drives the theme of Development Dialogue 2018 “Collaborating for Big Bets”. The conference draws on over 12 years of collaborative experiences of the Sandbox ecosystem and provides opportunities for potential alignment that could deliver on goals of urgent interest to humanity. You are sure to find opportunities to engage with the country’s most influential thinkers and doers, while contributing to rich discussions over roundtables. The conference also hosts a number of community-driven conclaves which draw students, farmers, educationists, health practitioners, tech enthusiasts and entrepreneurs. Please note that Hubballi has an airport and is well connected with Bengaluru. To reach from Mumbai, Belagavi is the nearest airport which is less than two hours drive from Hubballi. Register now to avail early bird specials. We are reachable at ddhubli@dfmail.org and at (+91) 944-989-1050.